I used to be an exclusively envelope-closure pillow seamstress. Zippers intimidated the heck out of me. But then I discovered something that changed all of that. 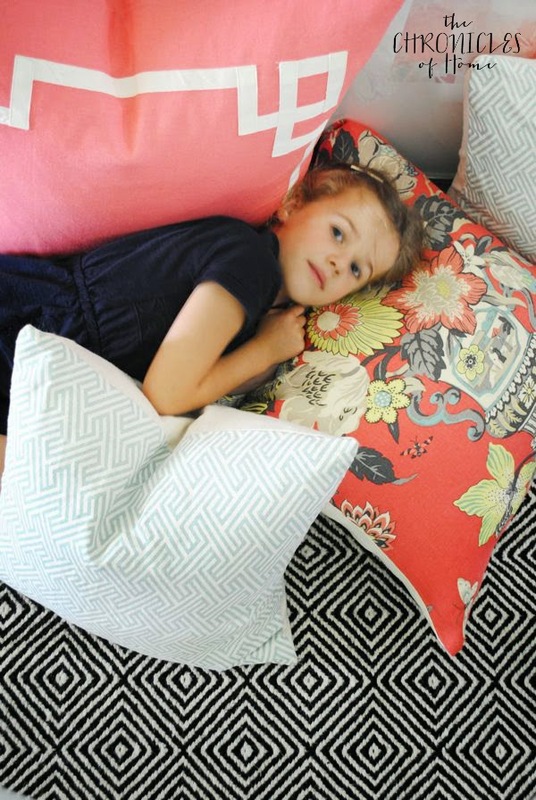 Zippered pillow covers are really easy to sew. 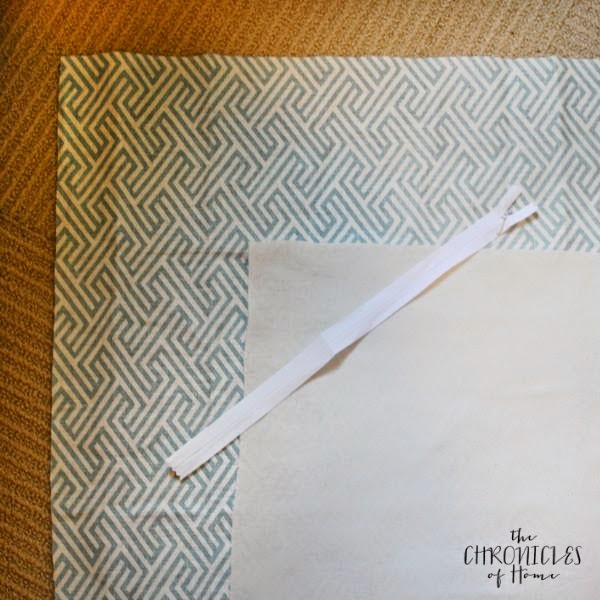 Even easier than an envelope-closure pillow, which requires lots of measuring and cutting and lining up. 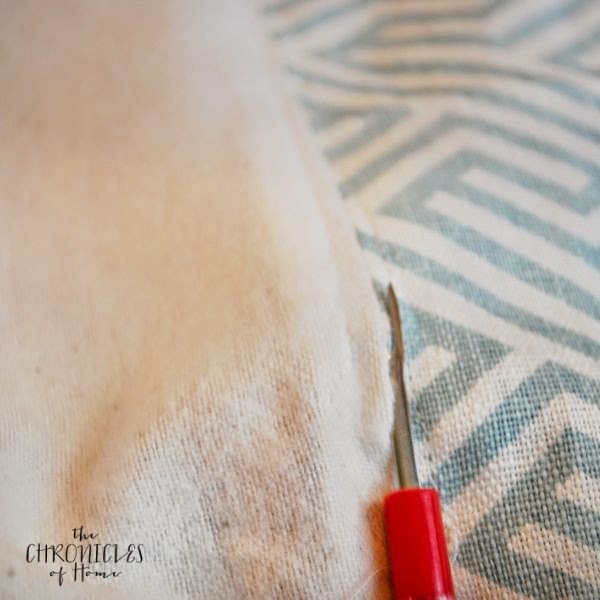 If you too are a zippered-pillow-phobe, read on and I will show you how very easy they are to make. 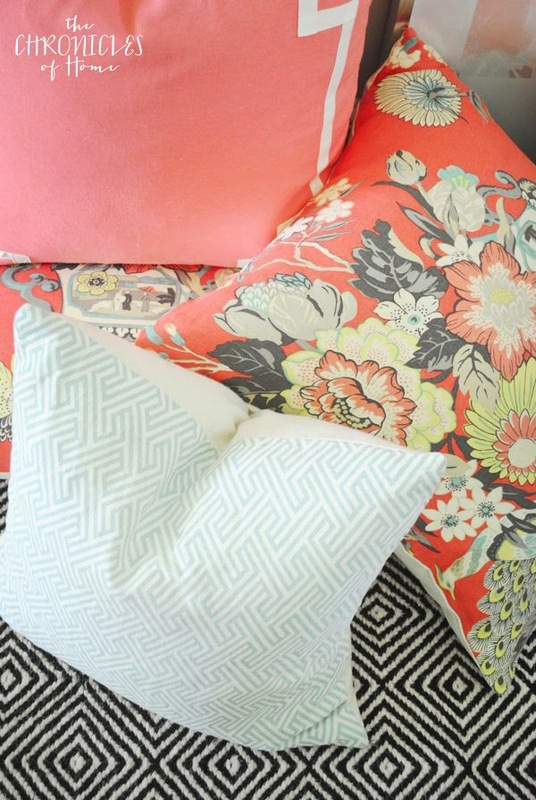 Decide which edges of the fabrics will be the bottom of the pillow and pin those edges together inside out. 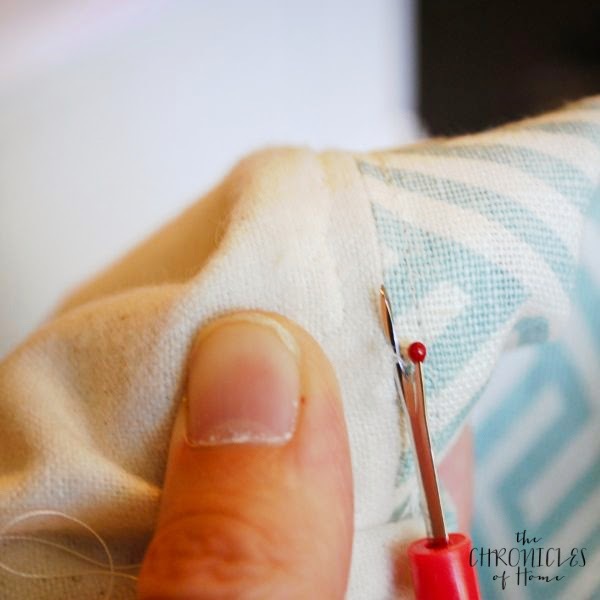 Sew a straight seam 1/2″ from the edge you just pinned. 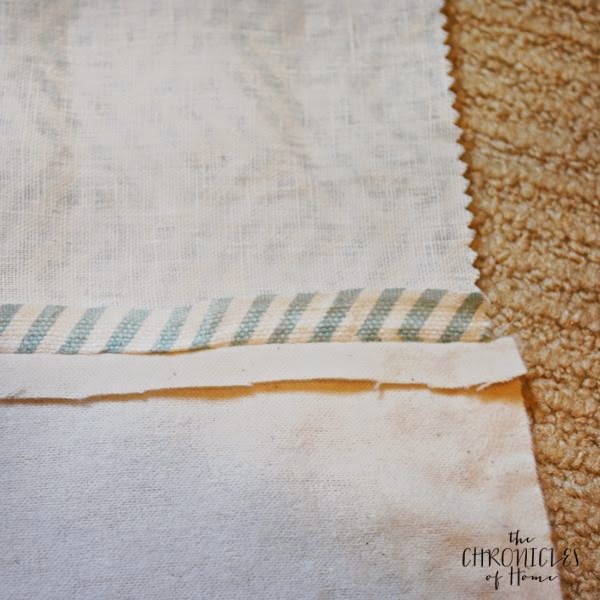 Spread out the seam you just sewed and iron it flat. 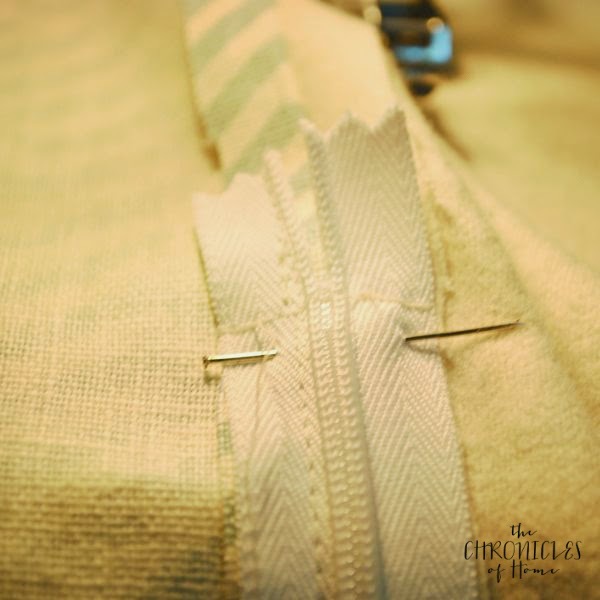 Lay the zipper on top of the flattened seam, face down, with the teeth centered over the seam. Pin the zipper in place. 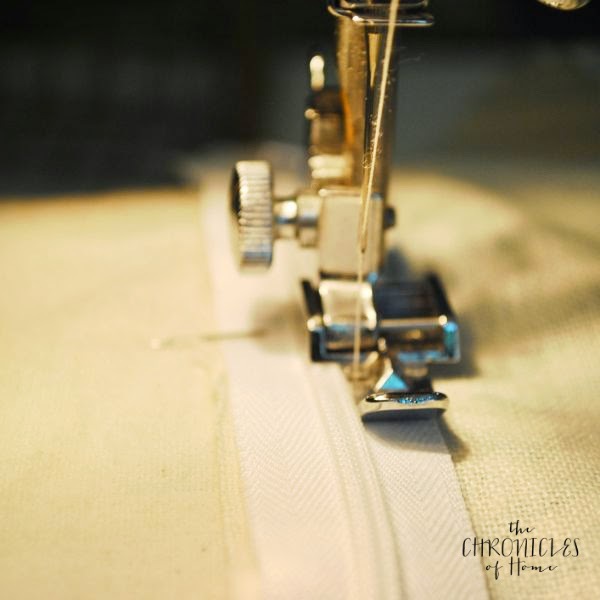 Use a zipper foot on the sewing machine to sew a straight seam along one side of the zipper teeth. At the end of the zipper, sew a horizontal seam to lock the end in place, then sew a straight seam along the other side of the zipper. 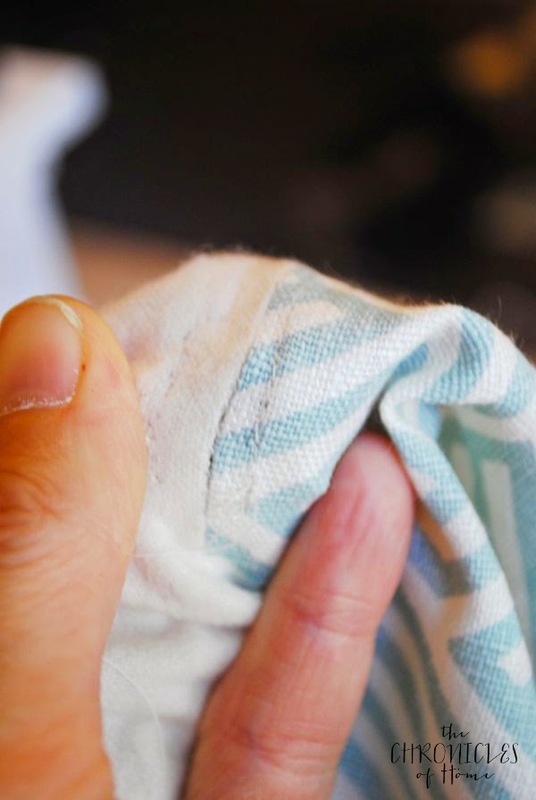 If you are not familiar with a seam ripper, this is what they usually look like. You really, really want one of these! 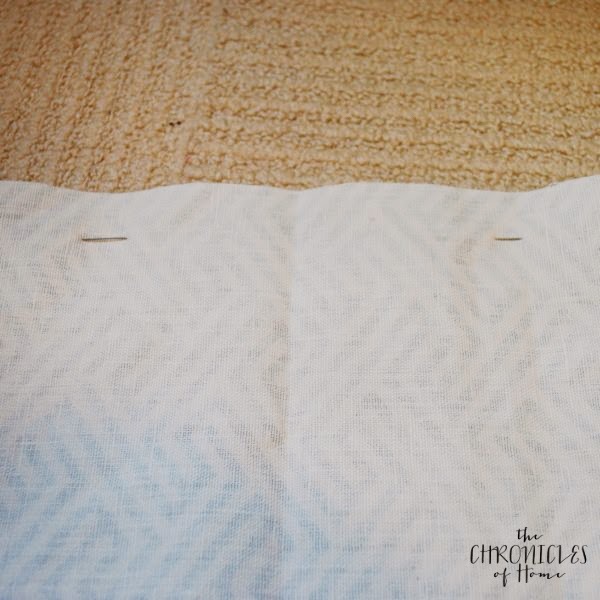 Turn the fabric right side up and pull the seam apart a bit so you can see the threads. 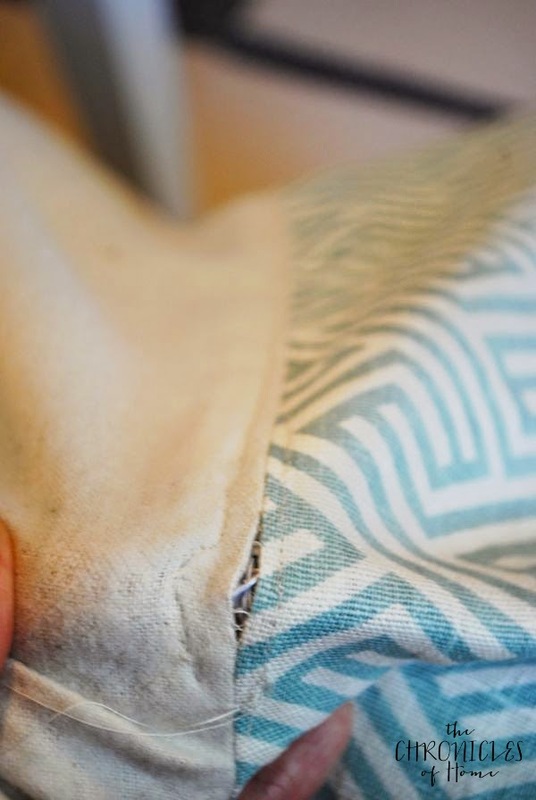 Slip the sharp end of the seam ripper under a thread at the end of the zipper (not the end of the pillow cover) and push it up to cut the thread. 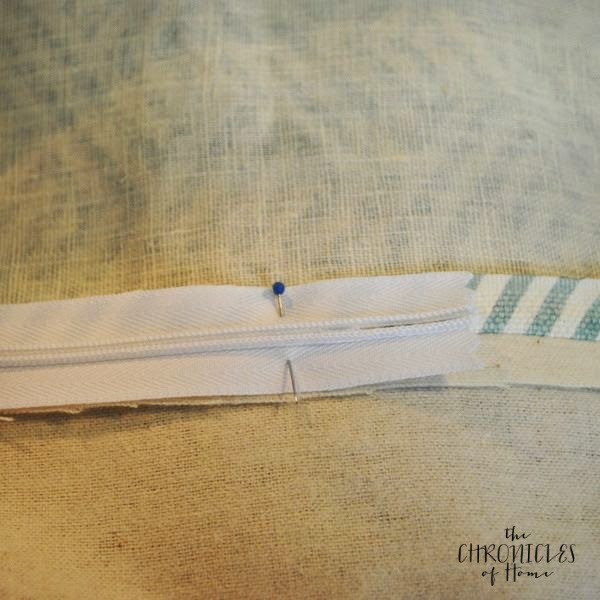 Give the area another little pull apart and the seam will start to unravel, revealing the zipper underneath. 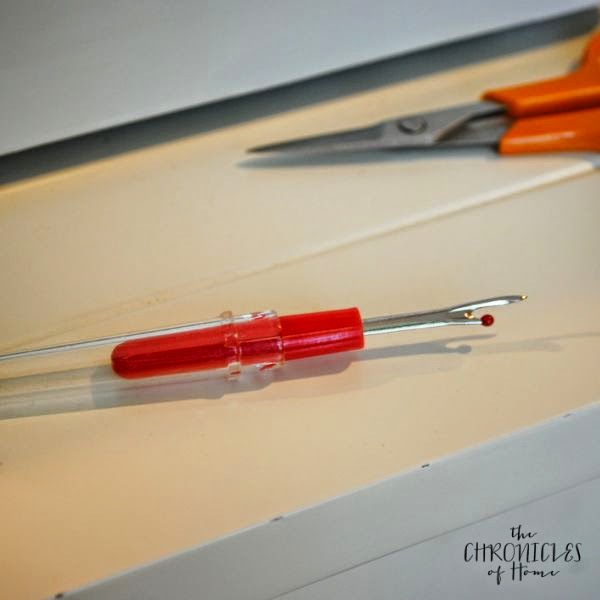 Now put the seam ripper inside the opening, with the red ball inside (this protects your fabric from tearing) and carefully push all the way along the seam until you get to the other end of the zipper. Unzip the zipper, flip your fabric inside out again, and sew the remaining three open sides shut with straight seams, 1/2″ from the edges. 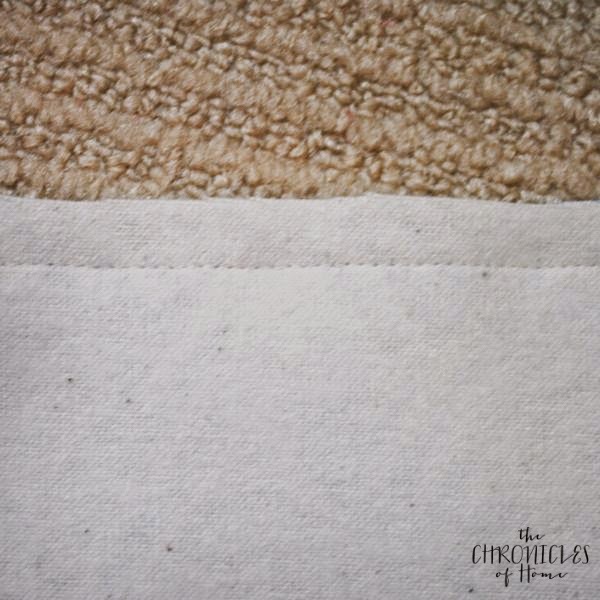 Flip your cover right side out, stuff it with a pillow insert, and you are finished! So much easier than an envelope closure pillow, truly. 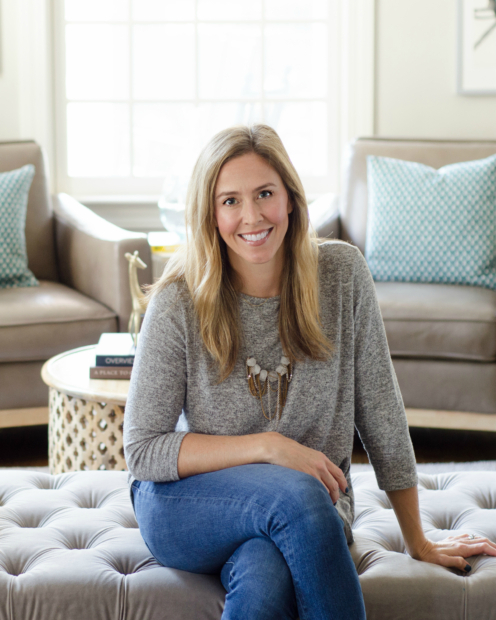 And, seriously, was I really thinking I could pile pillows on the floor and not have a little pillow-diver show up?? 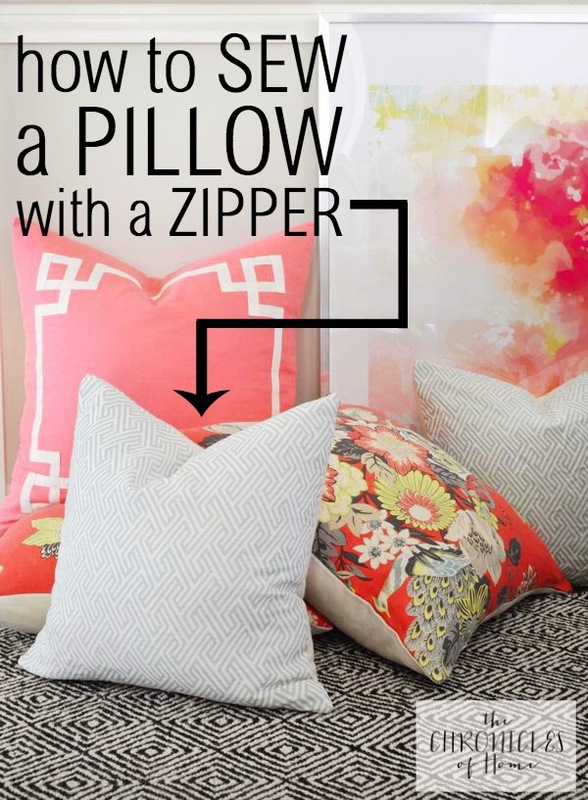 Have you tried sewing a pillow cover with a zipper? 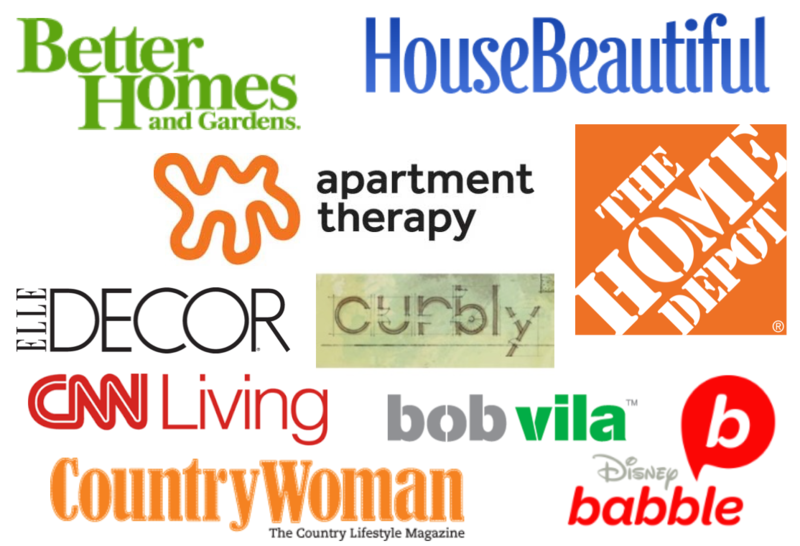 Do you agree that it’s so easy once you give it a try?